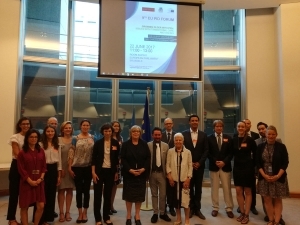 IPOPI organised its 9th EU PID Forum on ‘Growing older with a PID: transition of care and ageing’ at the European Parliament on June 22, 2017. 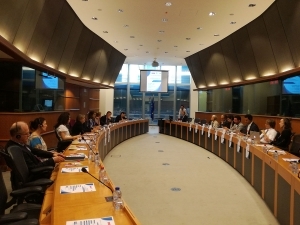 The meeting was hosted by Members of the European Parliament (MEPs) Dr Elena Gentile (S&D Italy), supported by Mr Carlos Zorrinho (S&D Portugal) and counted with the participation of Ms Sirpa Pietikainen (EPP, Finland). The participants of the Forum agreed to collect the fruitful discussions and presentations and bind it into a set of Recommendations on PID transition care and ageing, raising the issue of PIDs as lifelong diseases among policymakers. The recommendations will soon be available on the IPOPI website, as well as a detailed meeting report, and can be used for advocacy activities at national and European policy levels. Other countries and regions can also base their advocacy efforts on the Recommendations gathered. 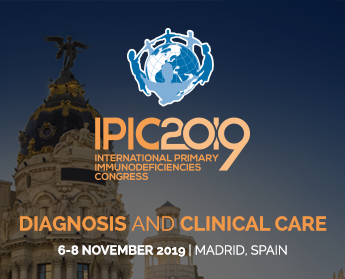 Dr Gentile, herself a paediatrician, opened the meeting thanking all participants for looking at this unexplored topic and stressing the need for a coordinated pathway in primary immunodeficiency (PID) patient care. 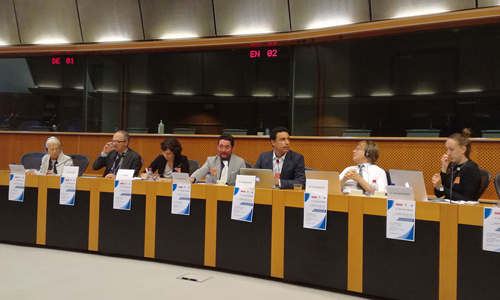 Ms Leire Solis, Health Policy and Advocacy Manager for IPOPI, set the scene for the discussion, highlighting the discrepancies in PID treatment across member states and that more attention to specific stages in life is needed to ensure the well-being of the patient. Patients and physicians provided their perspectives on the two topics and discussions and highlighted that early diagnosis is key to avoid complications in later stages of life. The importance of individual care planning and collaboration among physicians (paediatricians, adult immunologists, geriatricians, psychologists and family physicians) was also stressed.